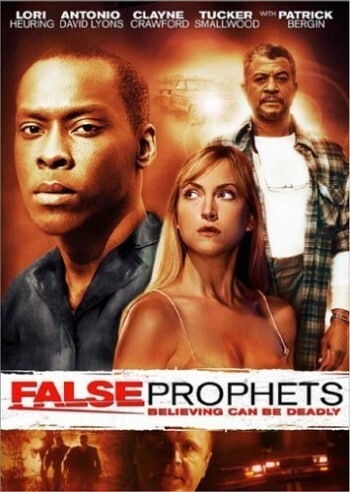 False Prophets A.K.A. "Gas Station Jesus" is an interesting film. Lori Heuring stars as Maggie. She is a waitress who unexpectedly gets pregnant. She goes to the hospital decides to have an abortion in two weeks. A Christian cult finds out about this and tries to stop her. The cult find her and at first put up a phony adoption to trick her, but she finds out, and now she's on the run. She then meets Manny (Antonio David Lyons) who is a gas station worker. Manny has a special gift which helps her in a spiritual way. The movie is well-acted and directed. It's slow-paced, but the plot is different enough so you won't fall asleep. In the end: False Prophets is a hidden gem that should be discovered instead of being buried forever.